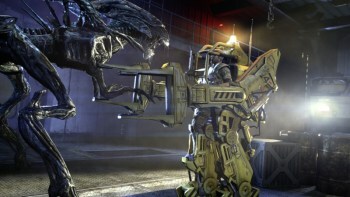 Join The Escapist Live for Aliens: Colonial Marines! Let's hold hands as we take a trip to LV-426, today at 6pm EST. Update: It's a wrap! Thank you to everyone who joined in the fun. And by fun I mean dumb enemies, screen tearing, and EGGS. Be sure to follow our channel for more streams in the very near future! If you read our review of Aliens: Colonial Marines, you already know that the game didn't quite live up to our expectations. But now it's time to go eyes-on as we play through some campaign missions and online multiplayer live on Twitch.tv! You can watch the stream one of two ways: Either right here on this very post or on The Escapist's official Twitch.tv page. Those who wish to comment and chat with other viewers and the broadcaster will need to use the official Twitch page. Remember, if you want up-to-the-minute updated on when our streams go live, be sure to click the "Follow" button on our Twitch page. Also, feel free to hit us up with suggestions and ideas for future streams!